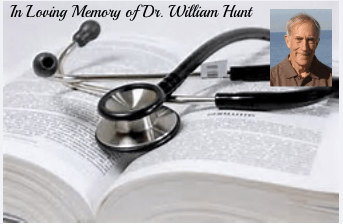 Dr. William Russell Hunt, 77, went home to his Heavenly Father on October 17, 2018, in the comfort of his home, with his family by his side, after a long illness. He was the beloved husband of Elizabeth A. Hunt for 27 years. Dr. Hunt was born in Evansville, Indiana on July 29, 1941, son of the late Harold and Margaret Hunt. Shortly after birth, Dr. Hunt moved to Montana, growing up in Poplar and Wolf Point. Dr. Hunt received a Bachelor Degree with honors from Harvard University in 1963 and after graduation, he attended Cornell Medical School and received his medical degree with honors in 1967. He then did a residency in Internal Medicine in Cleveland, Ohio. Midway through his residency, he was drafted into the Air Force in 1969 where he spent two years fulfilling his military requirements as Medical Director on an Air Force Base. After the military, William returned to Cleveland, Ohio for two years in a Fellowship Program. Once the Fellowship Program ended, he started working at Greenwich Hospital in the Department of Emergency Medicine. William worked at Greenwich Hospital for 32 years, six of them as the Medical Director, before retiring in 2010 due to illness. William was a voluntary Medical Director of the Greenwich Emergency Medical System for 20 years where he received numerous awards. William was also a volunteer with AmeriCares and spent several weeks on a mission in Kenya, Africa. He cared deeply for the underprivileged and saw everyone as worthy of respect. Upon retirement, his desire was to help the less fortunate by working in the AmeriCares clinics. Unfortunately, his illness kept him from fulfilling that dream. Dr. Hunt had a heart of gold and always strived to do his best for patients by putting their needs first. Dr. Hunt earned the respect of his Colleagues and Staff at The Greenwich Hospital Emergency Department, but most importantly by the many patients and families he touched and wholeheartedly cared for. Dr. Hunt will forever be remembered for his kind and compassionate spirit. He was a man of great integrity and honor and had a strong work ethic. Dr. Hunt truly lived life to the fullest. He and his wife traveled the world, including a visit to the Holyland twice. He was a prolific reader and loved performing arts. Dr. Hunt was a communicant of Holy Infant Church in Orange for 27 years. In addition to his wife, Dr. Hunt is survived by his sons, Eric (Heather) and William (Liz) Hunt; stepsons, Daniel (Denise) and Eric (Brandy) D’Ambrosio; two grandchildren, Molly and Tessa, and two step-grandchildren, Brayden and Hadley. He is also survived by a brother, John Hunt of Plentywood, MT and a sister, Barbara Morris of Yakima, WA. He was predeceased by a son Mark Hunt and a step-grandchild, Nolan John D’Ambrosio. The family would like to extend heartfelt thanks to Dr. Hunt’s private caregivers, Tiffany and Debbie, his Hospice Aide, Nancy and his Hospice nurse Michelle for the loving and compassionate care given to Dr. Hunt. 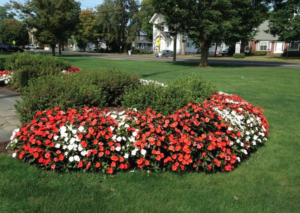 His family received friends on Thursday, October 25, at the CODY-WHITE FUNERAL HOME, 107 Broad St., Milford, CT. A Mass of Christian Burial was celebrated on Friday, October 26, at Holy Infant Church, 450 Racebrook Rd., Orange, CT. Interment followed at the Orange Center Cemetery. In lieu of flowers, please consider a donation to the Alzheimer’s Association Connecticut Chapter, 2911 Dixwell Ave., Suite 205, Hamden, CT 06518.